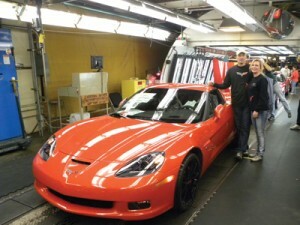 Greg Bier, EMgt’86, MS EMgt’95, PhD EMgt’97, and his family have owned three Corvettes. But the 2012 Z06 is the special one. That’s the one that Bier built with the help of his wife, Karla, ChE’88, MS ChE’94, PhD ChE’98; son Brandon, EMgt’10; daughter Kirstin, a freshman in chemical engineering, and daughter Bridget, who is seriously thinking about enrolling at S&T in the fall of 2013. 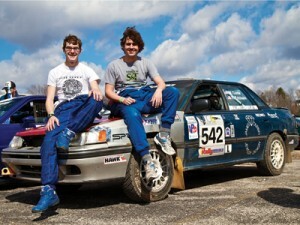 Reaching speeds upwards of 95 mph, Ron Erickson and Matt Conte raced their Subaru to a third-place finish in the open light class at the Rally in the 100-Acre Wood in February. The national championship performance rally in Salem, Mo., led drivers through the Ozarks wilderness over unpaved county roads. Barbara Skaggs, ME’85, is referring to her family’s 1942 Dodge WC52, better known as a “weapons carrier” in the military. 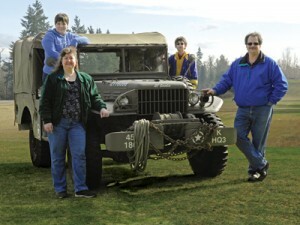 Years ago the veteran vehicle found a new life with the family. Many cars have a series of owners before they are scrapped or otherwise retired. 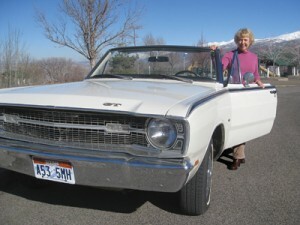 It’s rare for a vehicle to find a permanent loving home that spans generations. 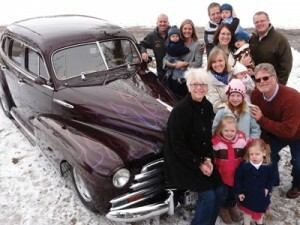 Montie Gauss’s 1948 Chevrolet Fleetmaster is one of the lucky ones. Love at first sight isn’t something that happens only between people. In 1952, the U.S. Air Force stationed Milton Hiekenin southwest France, where he bought his first car, a 1953 MG-TD Roadster. First sold in December 1927, the Ford Model A was the second huge success for Ford Motor Co., replacing the Model T, which had been in production for 18 years. The car came in four standard colors, but not black. By the end of production in 1932, nearly 5 million Model As had been sold. Tom Shepard, ME’67, bought a 1930 Ford Model A Tudor Sedan and he does all the mechanical work required to keep an 82-year-old car on the road. His previous car was a 1931 Standard Coupe with a rumble seat. 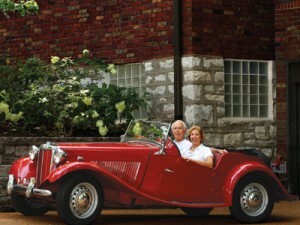 Since she was a young girl, Nicola Utterback Nelson, EE’66, MS EE’71, has wanted to own a convertible. About five years ago, Ghassem Takmil, ChE’77, reluctantly turned in his 33-year-old French Renault to an Iranian junkyard. 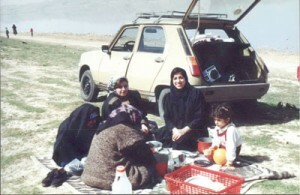 The government gave him the equivalent of roughly $1,200 — about what he originally paid for it — to junk the car, under the condition that Takmil purchase a vehicle made in Iran. 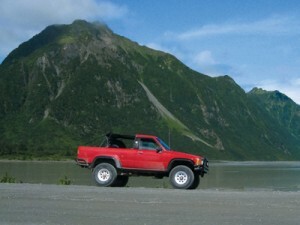 Brian Mullen, GeoE’08, bought his 1989 Toyota 4Runner off a gas station parking lot for $2,000 back in 2002. Designed by Harley Earl, the Chevrolet Corvette was first introduced as a concept car at the GM Motorama in 1953. It came in polo white with a red interior and a black top — and that was the only option. Jeff Ivers, CSci’74, has a 2005 Corvette. He also has a Lotus. Jeff Boschert, CE’96, Jeff Bohler, CE’94, and Tricia Bohler, CE’93, took this photo of their Corvettes at the October 2011 Memories Car Cruise in Sunset Hills, Mo. Boschert bought his 1972 Ontario Orange Corvette in 2006. The Bohlers bought their 1970 Marlboro Maroon Corvette in 2005.